Add dramatic volume to lashes with the PUPA Vamp! Explosive Lashes Mascara in 'Black', a volumising mascara with oversized brush to emphasise and dramatise your natural lashes. The ultra-soft bristles are coated in a rich-textured formula that wraps around every lash for enhanced results. Grabbing even the smallest of lashes, the black mascara takes lashes to new lengths, delivering unapologetic volume and thickness for show-stopping, exaggerated results. Start from the base of your lashes and comb them with zig-zag movements up to the tips. 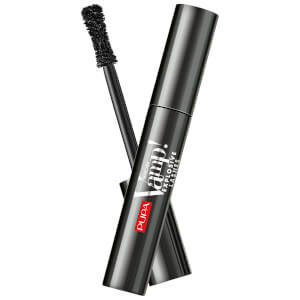 Apply the Mascara repeatedly, moving from one eye to the other until you achieve the desired volume.